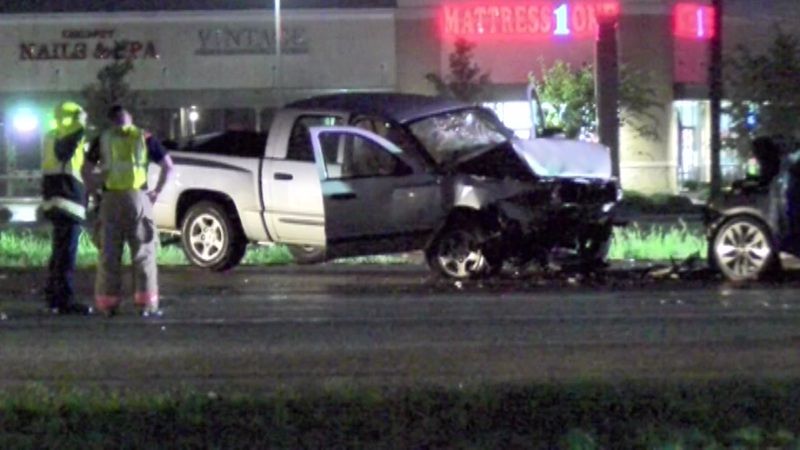 PEARLAND, TX (KTRK) -- All lanes of Highway 288 northbound at McCard are now reopened after a fatal wreck. Emergency crews cleared the scene at 6:34am. The two-vehicle accident resulted in the death of at least one person. We do not know much about how the accident happened or the victim involved, but abc13 was told this was a fatal accident.